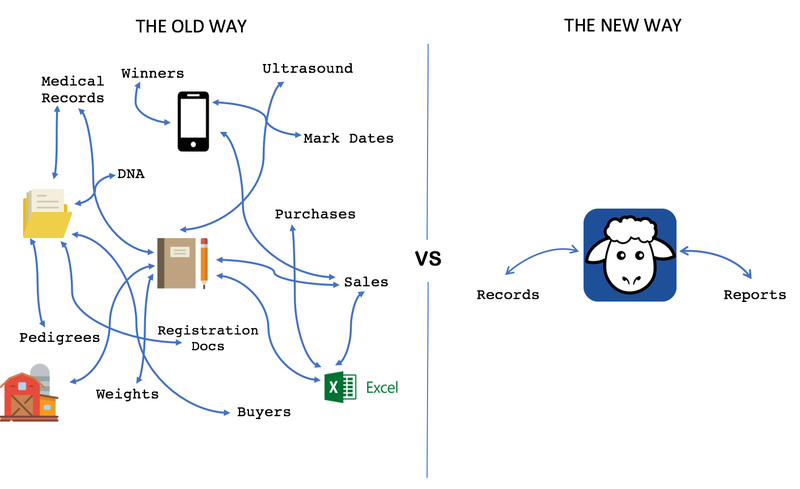 Meet HerdBoss: the place where your farm comes together to track records, create insightful reports, and drive results. So easy grandpa can use it. Made for breeders, by breeders. You own your data, and we keep it private and protected. HerdBoss is designed to work as hard as you do. All your records. One Place. Never lose a record again. 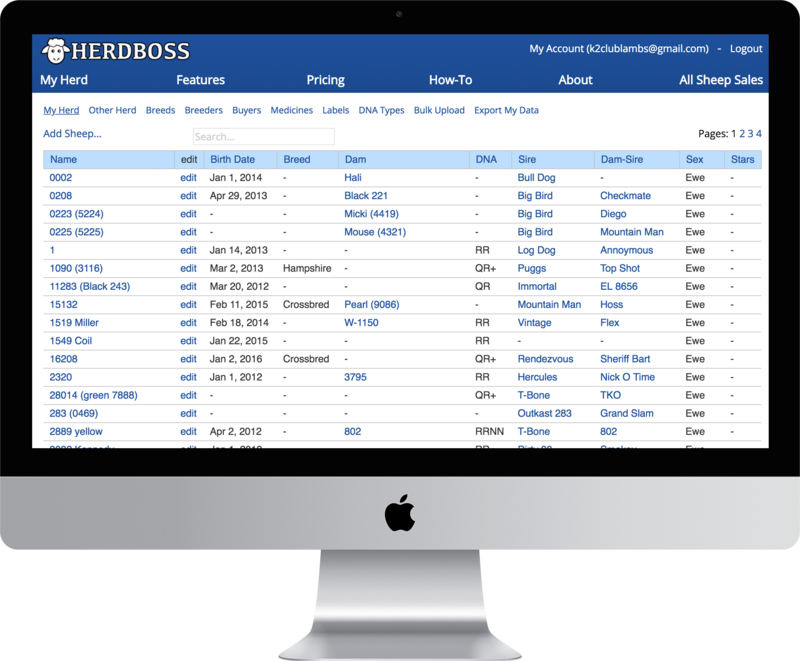 HerdBoss empowers you to keep track of contact information, notes about customers and previous purchases. 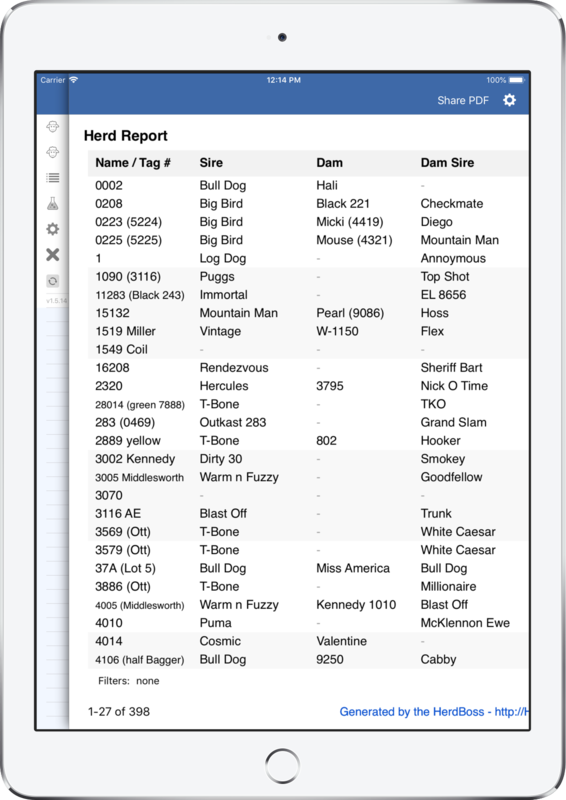 Use the HerdBoss app in the office, truck or pasture for instant access to the data you need to get stuff done. It even works offline when you don’t have service. Livestock production is a team sport. With HerdBoss, every member of your team has the information and reports they need to get work done. Share with the touch of a button. Using our bulk upload feature, you can be live in often just minutes. We are dedicated to making the importing process easy and are here to help. Export all your data on-demand if you ever change your mind. Sitting at your desk. HerdBoss is made mobile friendly. Go ahead, manage your herd on the go. Sorting through stacks of paper (or messy excel spreadsheets) All your animal records. One place. Access anywhere. Getting bombarded by phone calls. 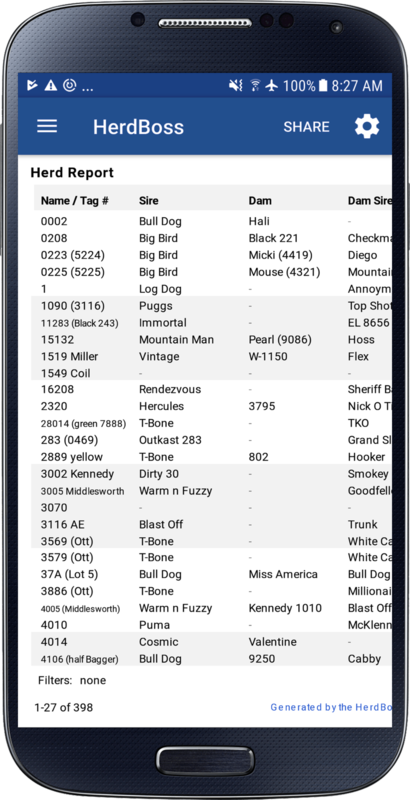 Your whole farm team has the records and reports they need to get work done through HerdBoss. Counting dates on the calendar. Lambing Calendars (and 15+ other reports) are done automatically. Just insert the mark date and HerdBoss does the rest.